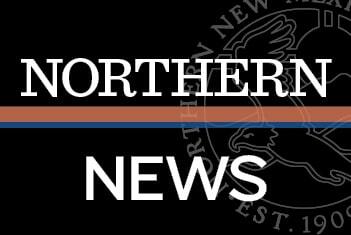 SANTA FE, NM – Students at Northern New Mexico College and New Mexico Highlands University will have a more streamlined avenue to graduation thanks to a new agreement between the two institutions. The agreement, signed by the institutions’ respective presidents at the Santa Fe Higher Education Center, creates a partnership that allows students to enroll in courses at one institution when the equivalent courses might otherwise be canceled at the other institution due to low enrollment. “This is the kind of positive solution universities can come up with when they work together,” said New Mexico Secretary of Higher Education Barbara Damron, who attended the July 16 signing ceremony. Normally, under enrolled courses are cancelled, which means students might have to wait an additional year before courses are offered again. Combining courses at the two institutions means students will have more streamlined access to courses they need. “It’s about retention and keeping students on track,” said Roxanne Gonzales, New Mexico Highlands’ provost. “This is one of several collaboration initiatives that we are working on with Highlands,” Lopez added. The two institutions will be testing the arrangement this year.